GEL Solutions exhibiting at the 2019 Geo3T2 Conference! GEL Solutions will be exhibiting at this year's Geo3T2 Conference in Cary, North Carolina on April 9-10. 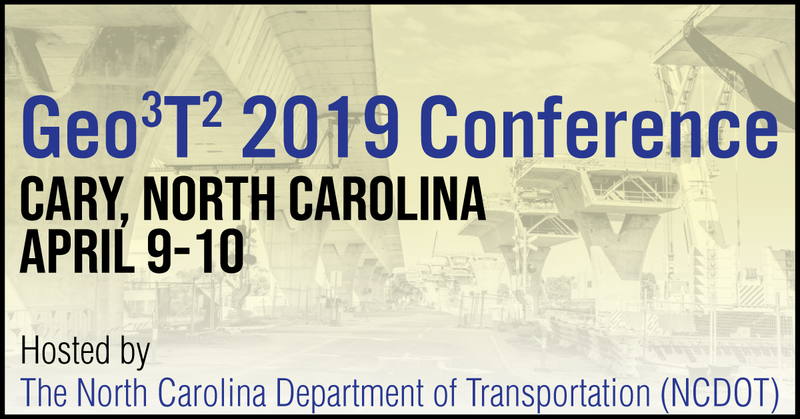 This annual event is aimed at those involved in transportation, investigation, design, construction, management, and research in the geotechnical field. Innovative developments, techniques, and research in the industry will be showcased. Stop by our booth and say hello! More info here.